When tropical systems threaten you, what should you do? 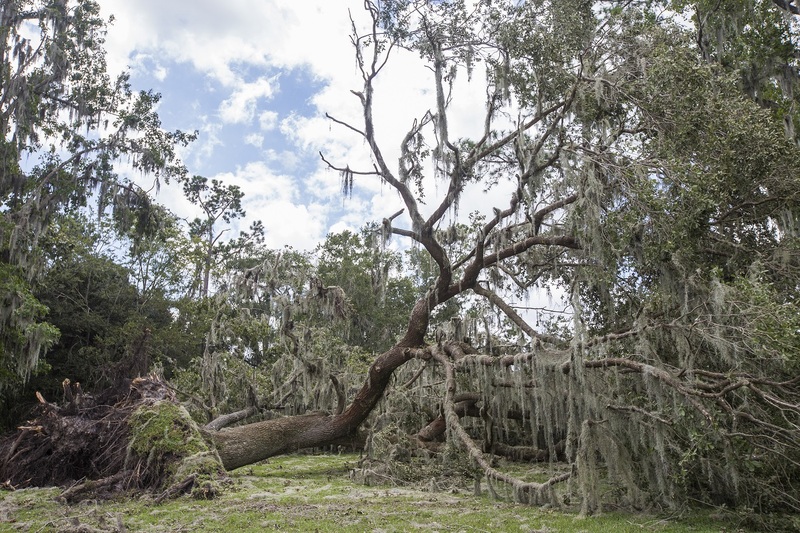 Preparation in the landscape can be key to protect your investment in your property and personal safety during hurricane season. One key idea to preparing for hurricanes in the landscape is to do it early. Before any threat is the best time to make sure your trees are healthy and pruned well to minimize risk. If you need work done, consider hiring an arborist due to their advanced training (Find an aborist here.) but make sure any company is carrying insurance and is well trained. This should be done before hurricane season and is necessary if trees are damaged, have a dense canopy, or are overhanging a structure. 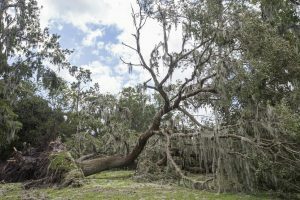 For more information on how to get your trees ready for a storm, visit http://gardeningsolutions.ifas.ufl.edu/care/weather/hurricane-landscaping.html. However, there are a few things you should complete before a storm that can be done on short notice if necessary. Store or secure any materials or structures that may become airborne. This can include small greenhouses, pots, hanging baskets, yard debris, or garden furniture. Turn off irrigation systems before heavy rainfall and wait for soil to dry down before irrigating again. Move sensitive potted plants indoors. Put out landscape debris that will not be collected before the storm event. This can become a hazard to your property, others, and be a hindrance to emergency response. Attempt high risk pruning activities yourself. Conduct any pruning or outdoor activities when conditions worsen. Go onto roofs, ladders, or climb trees in high winds. Apply landscape chemicals or fertilizer. Use power equipment without proper training and safety equipment. Do not go out into the storm to inspect the landscape until you are sure it is safe. Check for dangerous conditions such as downed power lines or hazard trees and stay away. Never enter floodwaters. As areas flood, this also means waterways and septic systems have also flooded giving them the potential of carrying disease. Check for information from your county about debris collection programs. Contact insured, properly trained companies to conduct any needed landscape maintenance or clean-up you are unable to do. Assess any hazards and prepare for the next tropical event, it is Florida after all. Follow these tips to help make your preparations and you should minimize many risks associated with high winds and flooding. For more information contact your local UF/IFAS Extension Office to speak to an agent.